Log in to the Biodcode LIMS plug-in. Select the assemblies that you want to pass in LIMS. Leave the rest of the fields as the default selection, and press “OK” for the operation to run. 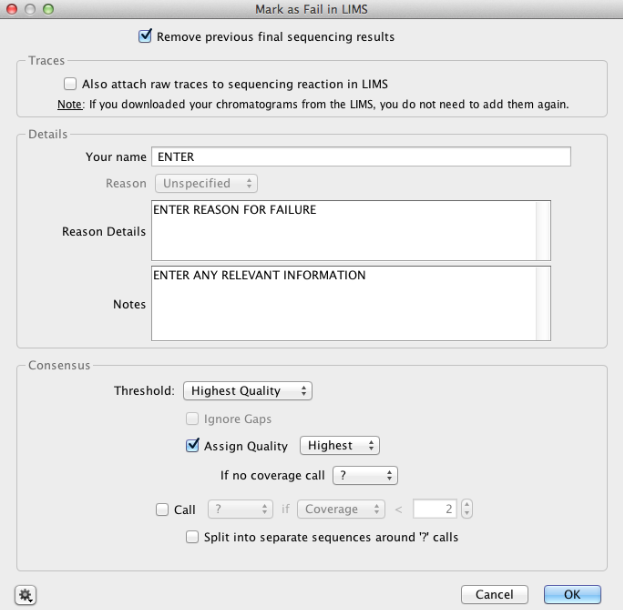 Select the “Biocode” icon on the toolbar and then “Mark as FAIL in LIMS”. 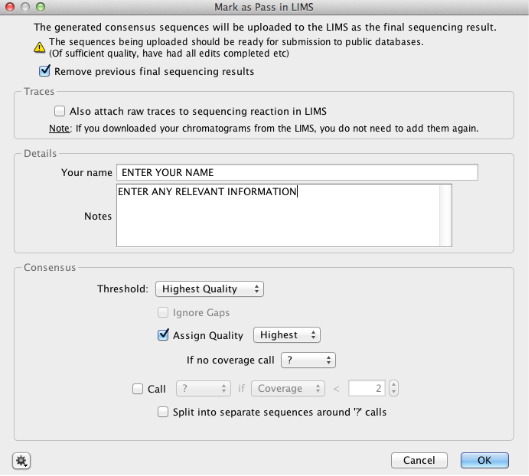 Uncheck “Also attach raw traces to sequencing reaction in LIMS”. Fill in the “Reason Details” and “Notes” fields with any relevant information. Keep the Consensus sequence settings at their default, and press “OK” for operation to run.